Since the 1930s and up to the present, the Fenton Art Glass Company, of Williamstown, West Virginia, has produced beautiful glass baskets in a huge variety of styles, colors, and patterns. 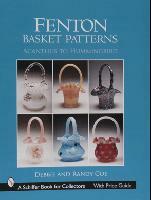 In these two new volumes, over 880 known varieties of Fenton baskets are each carefully described, with their individual ware numbers, color, size, decoration, date, and current value, and are individually shown in beautiful color photos. The patterns are presented alphabetically. This volume has the patterns from Acanthus to Hummingbird. A companion volume has the patterns Innovation to Wisteria and the numbered patterns. 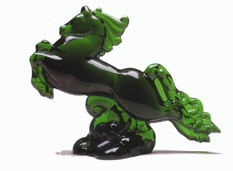 Information on the talented glass workers who made the baskets, handles, and pattern decorations are identified. 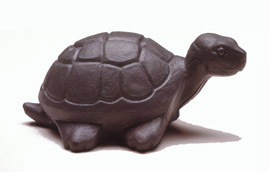 Special markings are described, listed, and dated for easy identification. With these complete references now available, the identification of Fenton glass baskets is possible for the first time and collecting them will be a gratifying pleasure. These two books are published to coincide with the hundredth anniversary celebration of the Fenton Art Glass company in 2005.